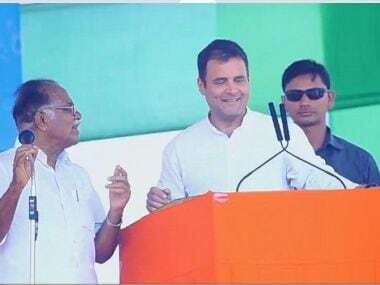 Last week Rahul Gandhi said that demonetisation has affected only the 99 percent poor in the country and that the 1 percent rich (50 families) in the country have been saved. Surely the numbers make a good argument for the Congress vice president to criticise demonetisation and Prime Minister Narendra Modi, who announced the move on 8 November. And, as it is, the entire media has reported it. But where did the data come from? Did Rahul Gandhi or Congress conduct a study or survey to reach up to the conclusion? No. Though there's still some truth in what Gandhi said, especially the fact that it caused a lot of inconvenience to poor people, the numbers do need to be fact-checked. 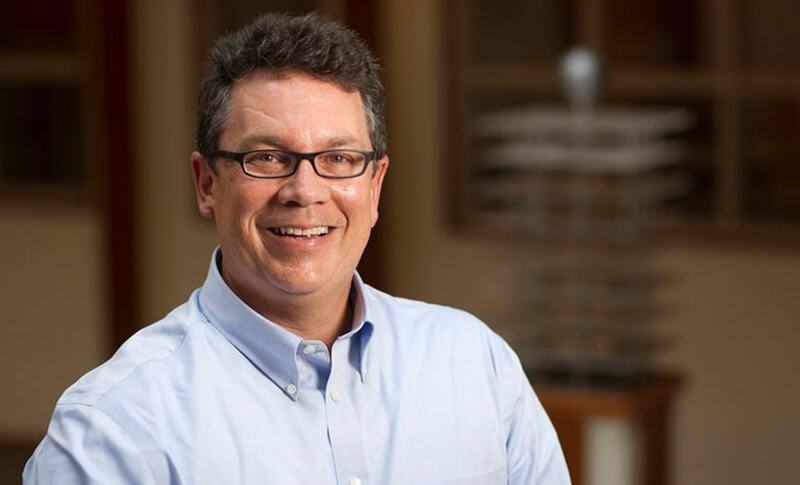 American journalist and Knight professor Bill Adair and his Pultizer Prize winning website, PolitiFact, have been doing this in the US since 2007. Over the last nine years, Politifact has been calling out politicians on their lies by fact-checking every statement they make (as a matter-of-fact). Not just that, next to journalism, fact-checking is now becoming a field and a tool to hold people (in public as well as private offices) accountable. It has been so effective in the US that the Republican candidate Jeb Bush once accepted that he was afraid of being "Politifacted". Kamis Reed, mayor of the American city, Atlanta, told his staff to ensure that all the claims made in his speeches were fact-checked and rated mostly true. In fact, in the recently concluded US Presidential election, PolitiFact showed how Republican President-elect Donald Trump lied during his election rallies. 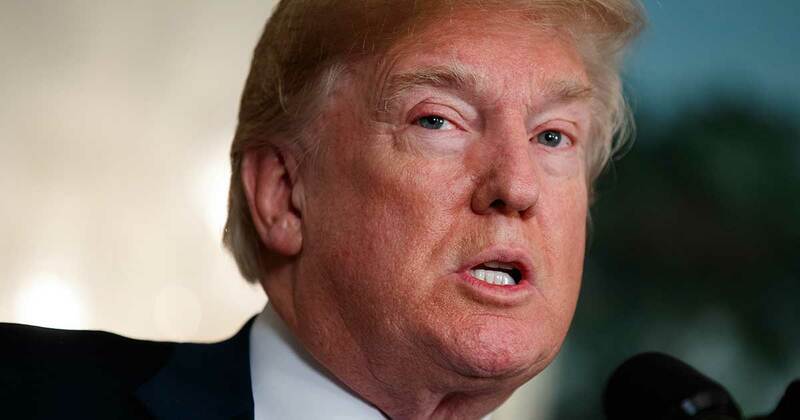 According to the website, more than 51 percent of the time, Trump made statements that were false. Another 18 percent statements were mostly false, whereas 15 percent times he made half true claims. 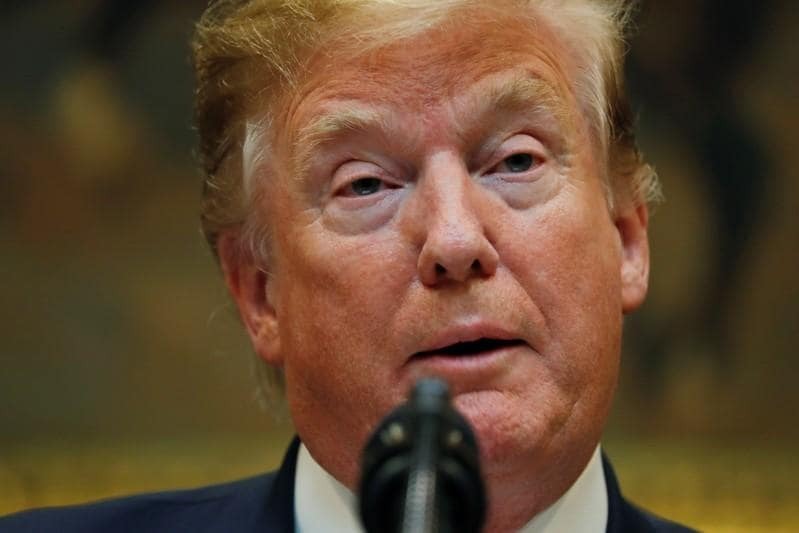 Trump said 11 percent mostly true statements and just 5 percent of the things he said were the complete truth. Why did you start PolitiFact? I was in the White House in 2004. And I saw a speech in 2004 Republican Convention by Zen Miller. Miller was a Democratic senator, who had endorsed President Bush. He gave a speech about John Kerry, who was a Democratic candidate and attacked him for being weak on defence and not wanting to spend money on defence. And it was a speech that really needed to be fact-checked. But I was a news reporter at that time and I didn't do a fact-check. But as I thought about that, I felt guilty that we were just passing around what the politicians were saying without any scrutiny. So, I built PolitiFact out of my own guilt. Are you happy with the progress made in fact-checking? We started with just three people in 2007 right before the 2008 US Presidential Election. Today, we have 21 PolitiFact sites in 18 American states. We have an international collaboration with AfricaCheck, which is a fact-checking website. We have done 13,000 fact-checks. It's really cool. I am here as a representative of Duke University. I came here to discuss what we have learned about fact-checking and talk about how important it has become and encourage journalists in India to do their own fact-check. 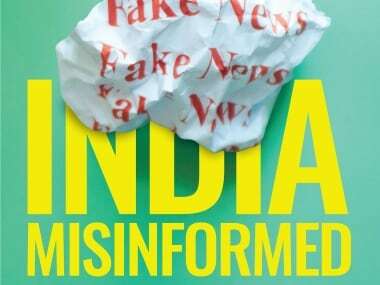 How do you think India can benefit from fact-checking? Fact-checking is valuable not just during campaigns but also when politicians are in government. Just in the four days I have been here I have seen four different claims about demonetisation where I thought: somebody should fact-check that. Whether it's a claim by the Prime Minister or the Opposition. I think, India could really benefit from fact-checking. India has a lively political discourse that takes place on television, in newspapers and websites. But the politicians are getting away with falsehoods because no one is checking them. I am not saying that everything they are saying is false, but I am sure on any given day there are plenty of false claims that are made. We hope that Indian news organisations will try fact-checking. Are there any ground rules that every PolitiFact fact-check has to follow? We don't have any rules as such, but we do requrie that a fact-check needs to be true. Sometimes you can do a fact-check by just looking at something. For example, we had a number of claims where one of the candidates talked about how in the last election you never even mentioned education. So, that was something. All we had to do is look up the transcript of the previous debate and look up words involving the topic. We didn't need to call somebody. But I think, most fact-checks, I think, it's really helpful to call somebody. And so, we put an emphasis on that. What are the requirements to become a fact-checker? A good fact-checker can be a relatively new reporter, you do not have to be a veteran reporter with many years of experience. But to be a good fact-checker you must be skeptical and thorough. Sceptical because you are constantly questioning whether or not something is true, whether or not you have enough reporting to reach a conclusion. So, scepticism is critical. And thorough, because you want to make sure you don't rush your work and publish a fact-check before you have enough research done. Are there any specific sources that you rely upon for fact-checking? In the United States, we are fortunate because the government has several offices, that are non-partisan and not affected by politics. They collect and publish data. Those are congressional budget offices, bureau of labour statistics and census bureau. And they provide accurate economic and population data as well as data on what the govt does. And, we know that it's not subject to politics. In many countries, there are just not good independent sources of data. What we have also done is build a list of independent sources across subjects that we can rely upon on different subjects. So, whether it's social security or taxation, we know that we have good experts who know the subject and who would talk to us. The internet was supposed to bring accurate information, but it has also made it easier to spread falsehood and rumours. Do you think social media has acted as a catalyst? When the Web first started, the first publications to have websites were the traditional newspapers — and I am talking about 1995 to 2000. But it didn't take long for ideological websites to spring up. And that's great. They led great discussions online. But as more and more partisan organisations took to the web, many of them relied less on facts and more on outrageous content to attract readers. And the reason for that is, of course, the economics of the web, which is the more people read your article, the more you can make from advertising. That then grew into more recently websites who realised hey, we can get lots of readers if we publish more outrageous articles that are completely fake. So, I think in the evolution of the Web, both the business model — advertising based on page views — and social media that can amplify that have been at the root of some of the problems. But then it has also been responsible for much of the good and built great websites like The Atlantic and The New York Times who get a lot of money. Do you think the democratic nature of the Web — where anyone can publish anything — has allowed fake news to become such a nuisance? Do we need to censor the Web? Before the Web, newspapers and television networks were filters. They would research. If they get a letter that had some extreme claim on it, they would withhold until they could verify it. So, the media acted as a useful filter. But at the same time, there were people who said the media filtered too much. And they didn't give enough platform to certain types of candidates. So, there was a down side to it as well. But it also kept extreme falsehood away from people. With the Web, that filter is gone. And we rely on readers to be smart consumers of infornation. Many are. They know to go to trusted sources of information. And they can spot a fake news. Buy many other people don't have a deep understanding of how the news industry works. So, they see a headline that says 'Pope to endorse Donald Trump', and they believe it. But I am not advocating license. You cannot license people and you can't outlaw them either. Even the Firstpost website has Faking News. It's satire. You don't want to stop satire. Satire has a really important role in political discourse. But the people need to understand the difference between news, satire and fake news. They also need to be more educated consumers of different types of journalism. And I don't think many people understand the differnce between a news site that writes objectice report or a partisan website that gives out information. The newsrooms are changing, reporting is becoming more real time. How do you ensure that everything is fact-checked in that scenario? The most important thing is to be factually correct. And we should hold on publishing until we are sure that we have all the facts ourselves. That our conclusions are solid. It can be tempting when you are working on the Web to find one website that confirms your suspicion that the statement is false or true and quickly publish. But you need to be very thorough and confirm all the possibilities. Fact-checkers don't use any special tools. The most important tool is a Web browser and secondly, your phone. The old school reporting — calling somebody up and asking them — that is the vital part of reporting. You can't get everything you need from just searching and downloading the data. You need to speak with people, call up people and make sure that you understand things correctly. It's about combining the old school and new school approaches. Last week, Facebook became a signatory to Poynter’s International Fact Checking Code of Principles, to address the issue of fake news on the platform. How do you think this move will help combat fake news? Facebook is enlisting help from its users and fact-checkers in identifying fake news on the platform. So, when a Facebook user sees a link that they think is fake news, they can inform Facebook about it. Facebook then makes a list of articles available to fact checker that many users have tagged as likely being fake news. The fact-checkers read the articles if they really are fake. They then publish their own article on their website, and submit to Facebook. If enough fact-checkers say that the reported news is fake, then Facebook will put up a tag informing users that third party fact-checkers have found it to be false. So, it's done in a smart way. The users are the first line of defence, and then there are fact-checkers who are good in research. Do you think this would be sufficient to curb the menace of fake news? Fake news is like a bacteria that evolves to avoid the antibiotic. We come up with a solution they come up with a way to foil that. And it's going to be like this. I think fact-checkers are like the antibiotic. What Facebook has done is empower the users, and I am impressed. But if you ask me if they have the ultimate solution. I would say, probably not. We will have to make adjustments on the way. The tools that I am working on involve automating fact-checking. My goal is to get beyond the website as the only way to communicate a fact-check. 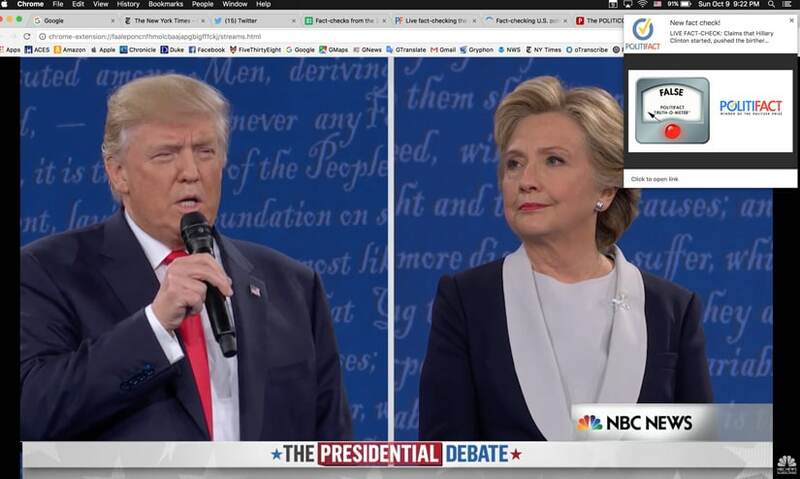 So, one tool we built in the Fall would allow you to see fact-checks pop-up on the screen while you are watching the debate on your computer screen. It's called FactPopup. It has a Truthometer that would pop-up tell you whether what Donald Trump just said was true or false. And we were able to do that in real time. We used the tool during the US Presidential debates. My goal is to build more tools like that. We want to see if we can also build a real time pop-up fact-checking tool for television. We also want to do pop-up fact-checking tool for Web browsers. So, say you are reading a news article, and there's a statement about demonetisation. It would be great if that sentence about demonetisation would be highlighted slightly in colour. And when you hover your mouse over it, a fact-check would pop-up and say, this statement by prime minister is false and why. That's our focus to automate fact-checking. We also have a project called Claim Buster that is mostly done at University of Texas and Orleans. It helps you identify factual points in a text. It labels claims in a transcript or speech between zero to 1.0 and tells which claims needs to be fact-checked the most. So, a claimed labelled zero doesn't need to be fact-checked; the need for fact-check increases as a statement rating goes up with 1.0 rating showing highest need for a fact-check. It does the work of human journalists but it can do it a lot quicker and accurately. How does the automated fact-checking tool works? What are the main challenges you guys have been facing? In the current version, a PolitiFact editor listens to the debate, and if the speaker says something that PolitiFact had checked before. The editor would push out a link to the previous fact-check along with an image of the truthometer. So, at present the automated part is that you get it on your computer screen while you are watching the debate. In the next phase, it would be automated. The challenge there would be understanding what is called natural language processing and trying to account for the variations in how people make a political statement. The tool will need to be able to understand the nuances of language to do things correctly. We are hopeful that we will be able to do that in next few years.